Werlte, June 2017. The journal “Transport a Logistika” awarded the Slovakian KRONE retailer Trailer Partner. Trailer Partner is winner of the renowned prize TOP SLOVAKIA 2017. In its 15th edition, the journal organized a readers’ survey to award outstanding businesses and personalities from the branch of transports and logistic in Slovakia. The awards show was held at the international conference “SpeedCHAIN Slovakia 2017” at the hotel Zochova Chata in Modra. Both managers of Trailer Partner, Milan Pagáč and Kvetoslav Boltižia, were given the prize by Pavol Jančovič, chairman of ČESMAD Slovakia, František Komora, chairman of the Slovak Automotive Industry and Viliam Bujna, chairman of LUXUR Media and editor of “Transport a Logistika”. The journal reports on the market of commercial vehicles in Slovakia and informs on trends and innovations. 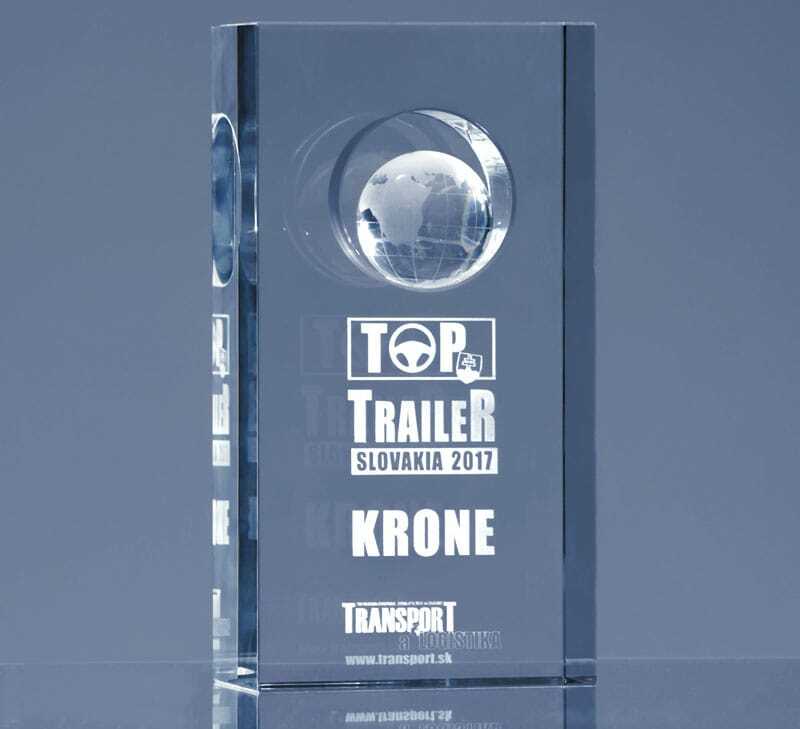 KRONE congratulates Trailer Partner on their success and award TOP SLOVAKIA 2017.